On a tropical Caribbean island such as Barbados, where I spent this past winter, the impacts of climate change are visible, more than in the Arctic. 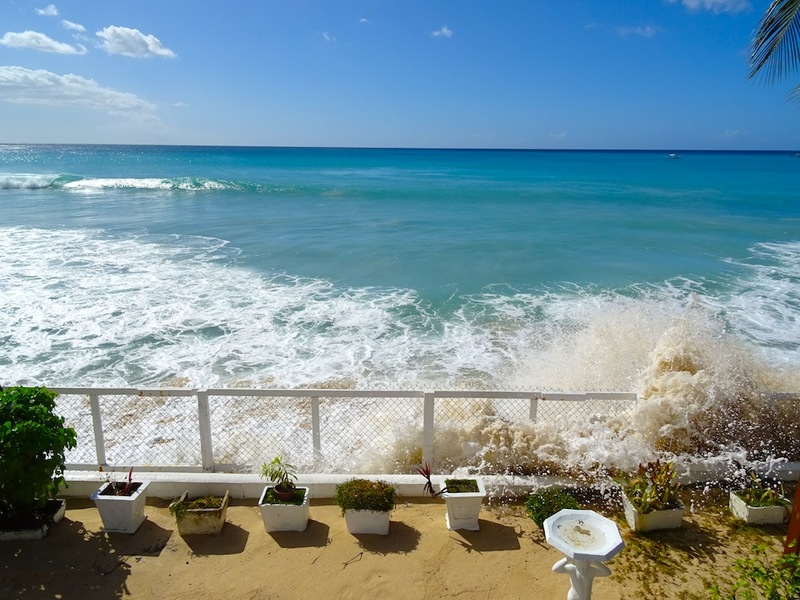 Waves still pound at this restaurant on the west coast of Barbados. 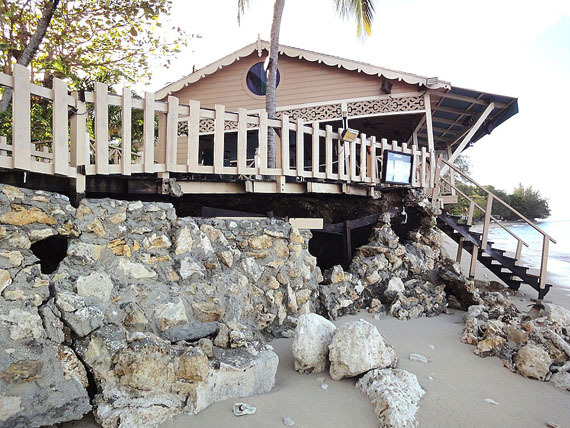 Its stairs now dangle over the badly-eroded beach, while in a nearby town, a seaside sidewalk buckles under the pressure of increasingly high tides. Granted, in the Arctic sometimes it’s hard to see climate change impacts unless you happen to spot a robin or find a new, unfamiliar parasite in the meat of an animal. Even the contaminants which can poison wildlife and people are invisible and the activities that caused them are located too far away to feel real. But in Barbados, the sea is there, ready to move in. Meanwhile, people make efforts to counter this stress on infrastructure by building seawalls, giant mounds of rocks, boardwalks and groynes. But these efforts can often be counterproductive. 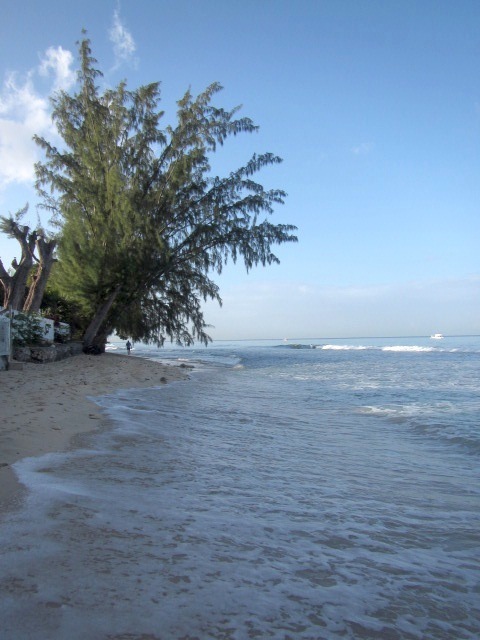 On Fitts Beach, also on the western coast of Barbados, a wealthy property owner somehow received permission to cut off the tops of 13 towering Casuarina trees along the beach in front of her property, then the roots were cut back to put in a sea wall. 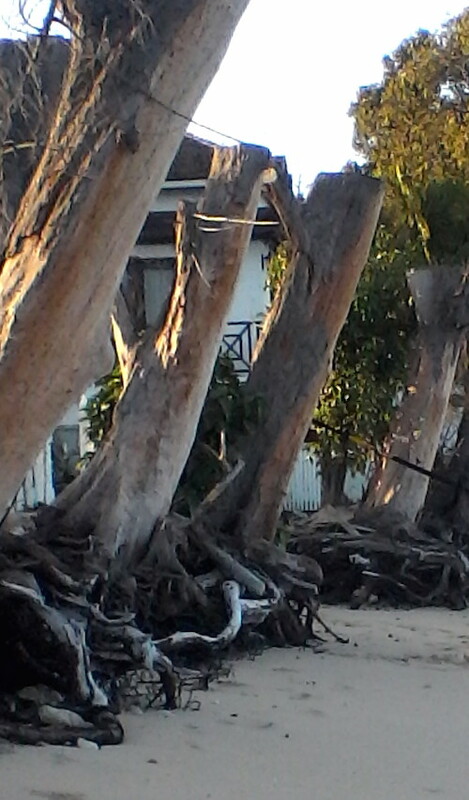 Now the trunks are beginning to topple over and when they fall, they’ll remove natural protection against beach erosion. Seeing the forlorn trunks makes many locals angry and worried about the future of their stretch of beach, where huge waves already crash onto the shore, and often spill into yards, covering the grass with sand. And here’s a sad prediction to think about: Sea level could rise in Barbados as much as two metres by 2080, pushing erosion 100 metres or more inland, way beyond those trunks. While in Barbados I decided to take an online course with the University of Geneva called “Pathways to climate change adaptation: the case of Small Island Developing States” — which have already joined with the Arctic regions in an organization called Many Strong Voices to combat climate change. Its common goal: to keep temperature increases in check, so the North stays frozen and the islands stay above sea level. Like the Arctic, small island nations like Barbados account for a tiny percentage of world energy consumption and produce low levels of climate-warming greenhouse gas emissions. And there are other similarities such as remoteness, a high cost of living and vulnerable economies. My course on SIDS tries to get us to think of climate change in a more holistic manner, that everything is connected, that sometimes positives like economic development or protective infrastructure also become negatives and that the solutions to climate change adaptation often lie right at our door — like trees. 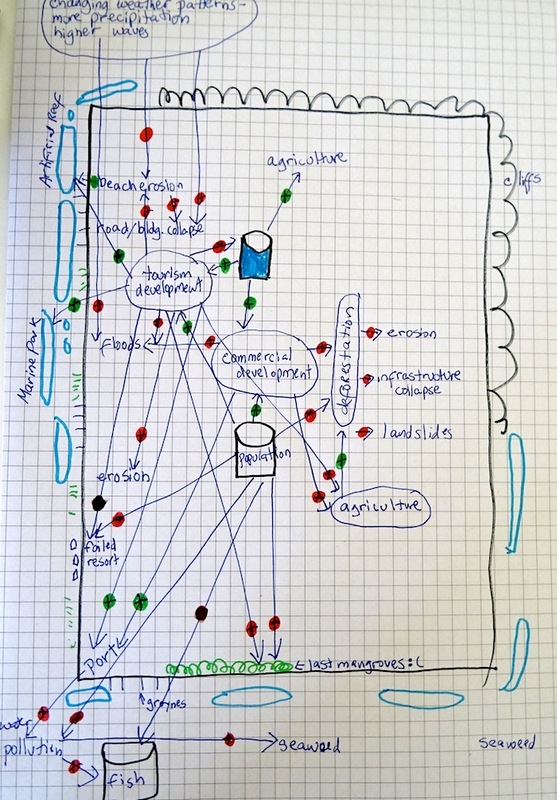 For the course, we are asked to draw a diagram showing all the interconnections between the ecosystem, threats and benefits on our island (my example — Barbados.) For that assignment, other students later evaluate my work, and they point out I have forgotten about ocean acidification, coral bleaching and not emphasized overfishing. But I did take away the idea that sometimes you to find solutions to climate change you have to think outside the box or hole we’re all in. On Barbados, as well as back home, this means looking more closely at development to change before climate change finally changes everything.